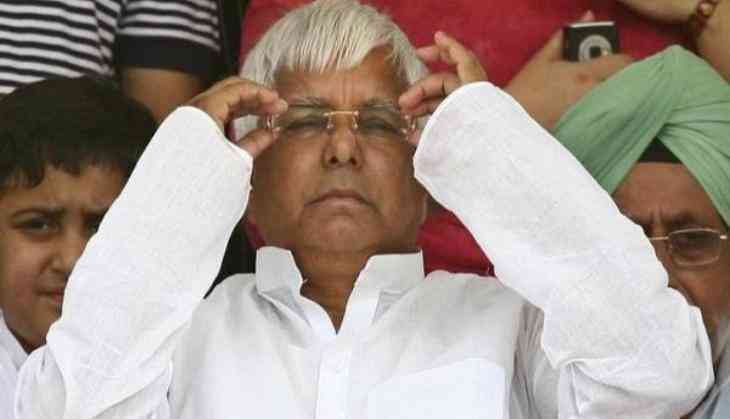 Rashtriya Janata Dal (RJD) supremo Lalu Prasad Yadav on 8 May evaded the question on the Supreme Court's decision to revive criminal charges against him in connection with the fodder scam case, saying that he did not want to comment. "I don't want to comment on the Supreme Court's decision. My lawyers will talk on this," said Lalu. Commenting on the Electronic Voting Machine (EVM) row, Lalu said his party would do everything to regain the people's trust in Indian democracy. "Manoj Jha will participate from our side in the all-party meeting called by the Election Commission. Considering the seriousness of the situation, we are ready to take any step to regain the trust of the people in democracy which has been destroyed by this," he said. On Tuesday, the Supreme Court revived criminal conspiracy charges against Lalu Yadav and other accused involved in the fodder scam case. A two-judge bench also ruled that the trial should be completed within nine months. In 2014, the Jharkhand High Court provided relief to the RJD supremo and others by dropping criminal conspiracy, criminal breach of trust and prevention of corruption charges. Around 53 cases were registered for misappropriation of funds on the pretext of buying fodder for cattle. Previously the high court had cancelled the cases on grounds that a person convicted in one case could not be tried in similar cases with same witnesses and evidence. However, the CBI contended that though the cases have arisen from the fodder scam, different amounts were involved from different treasuries. The fodder scam relates to fraudulent withdrawal of around Rs. 1,000 crore by the Animal Husbandry department from various districts when Lalu was Bihar Chief Minister from 1990 to 1997.